What Type Of Air Conditioning Do You Need For Your Home? The importance of an air conditioner in your home or apartment is essential, not only to reduce heat but to improve air quality. However, which one is right for you? Then, INTEC will explain what type of air conditioning you need in your home according to your needs. Do I need to buy a wall air conditioner? Of course yes! Every day strange odors accumulate in your home and enter allergens that can harm you if you suffer a respiratory problem. 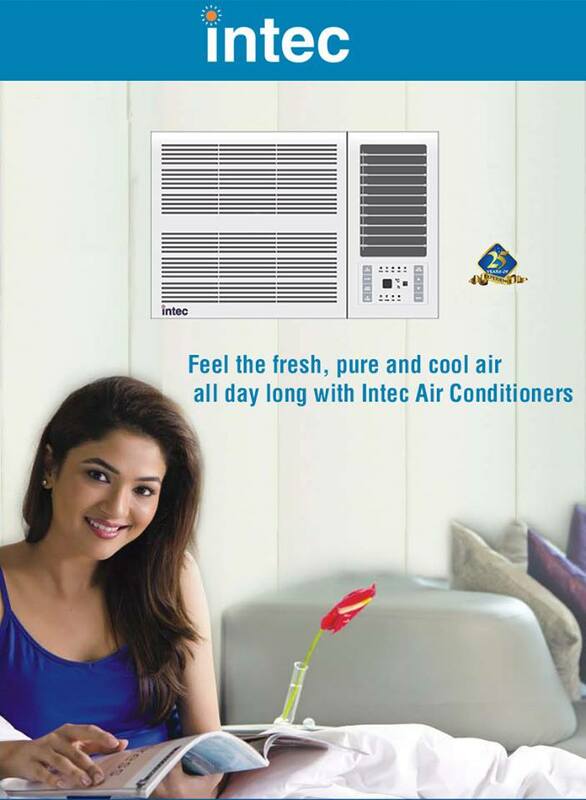 It is the best type of air conditioning as provided by window air conditioner manufacturers in India, whether you have a room of regular or large size because its cooling power can cover up to 9 meters. On the other hand, although many say it is harmful, it is proven that one of the benefits of wall air conditioning is more noticeable when it is in the bedroom. In summer, it is sometimes impossible to sleep because of the more than 25 degrees felt in the capital. And you know what’s best? You can program your equipment to turn off when you are deeply asleep. It should be noted that you will save a significant amount of energy, since once you are asleep, you will not need the wall air conditioner still on; and will help you sleep quickly, making you sleep eight full hours without interruptions. In other words, the next day you will present a better performance in college or at work. When to buy a window type air conditioner? Sometimes, because you rent an apartment or the floor of a house, you cannot make significant changes because the contract prevents it. Doing so would entail paying more money for making changes to someone else’s property, sometimes things work that way. In these situations, the best choice is to buy a window type air conditioner. You have, or you may consider to equip you with an air conditioning system, the first reflex of the consumer is often to go on the internet to learn about the different models, and get a price idea. Various online sales sites offer air conditioning at a discount price, so what are these websites worth? And their performance is it up compared to that of an installer? The two types of air conditioners: fixed and mobile. The first ones count: the wall-mounted air conditioner is a kind of box, which, as its name suggests, is fixed to the wall. The console air conditioner, similar in appearance to a radiator. The cassette air conditioner which is in the form of a rectangular grid and installs in a false ceiling and the duct, which is placed in the same way. These products benefit from a simple diffusion system (mono-split): with a unit outside and a unit inside but in a single room; or multi-split: with an outdoor unit and units divided into several rooms (up to five) of the house/apartment. The authorization of the town hall for the installation of a fixed air conditioner is not required unless you live in a protected area. On the other hand, you will have to obtain the approval of the majority of the co-owners, if you live in an apartment. On wheels, mobile air conditioners move quickly from room to room. These units are equipped with an evacuation duct to be placed on the crack of the window to evacuate the hot air. The summer season comes with unpleasant atmospheric conditions and scorching rays of the sun. People get discomforted and often feel powerless in front of the wrath of the sun. The sweltering weather conditions have exposed people to many health hazards. There has been created an emergent need of such devices that can offer some reprieve in the roasting conditions of the sunny season. Air conditioners seem to be just the perfect invention for the folks in the home appliance segment.